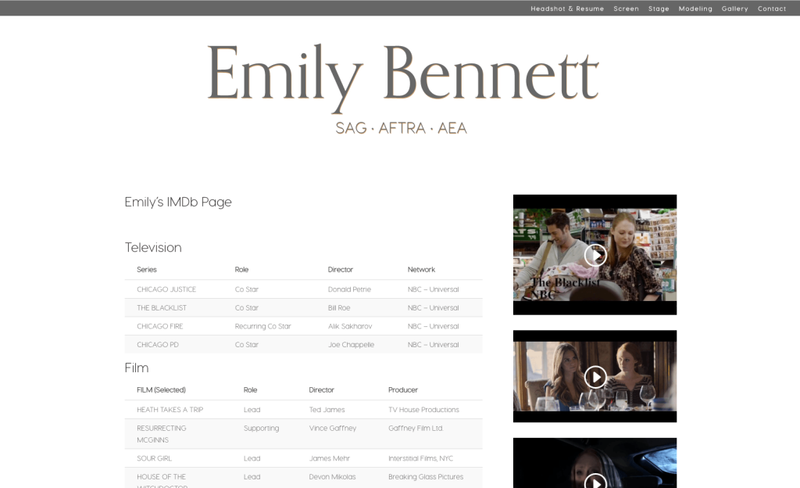 Emily is an incredible film, television, and stage actress and model. She came to me needing a website that could highlight her vast array of work including numerous images and video clips. We put together a simple, elegant, and beautiful website that highlights Emily’s natural grace and poise, while displaying all her work and extensive media and guiding visitors to contact her manager if they are interested in working with her.